Our first visit to the City Goat was with friends before watching a play at the Carnegie in Covington. Our second visit was before watching a play at Playhouse in the Park in Cincinnati. Both visits we were seated at a high top table right away and we were out in less than an hour. 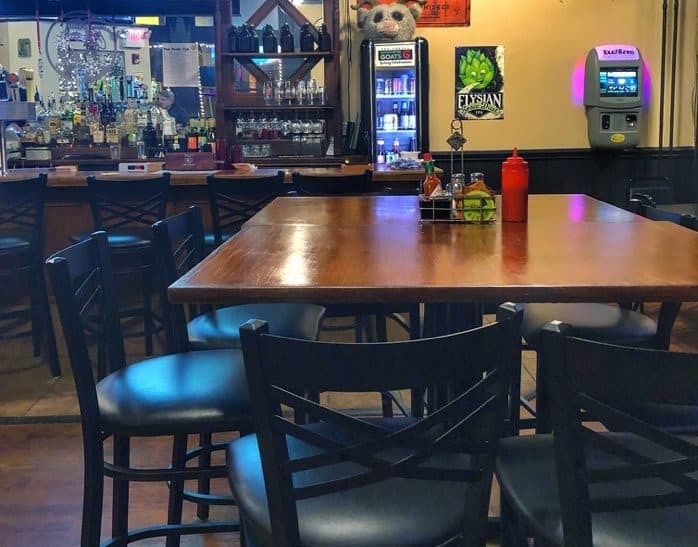 The restaurant also has seating at the bar, a game room in the back, and a patio area for warmer days. Parking is available on the street and if you are lucky you might score a parking spot on the street that doesn’t have a parking meter. I’ve tried several appetizers at the City Goat from our two visits. 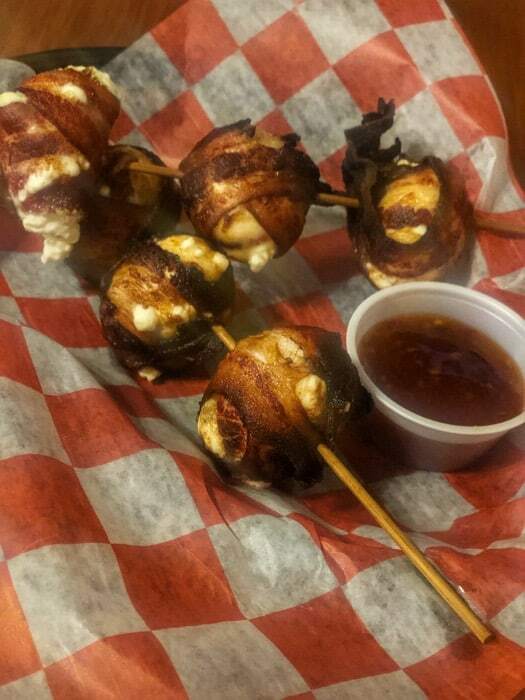 The Fried Devil Eggs (Crispy fried and topped with creamy egg, bacon and sriracha), the Big & Twisted (Jumbo fresh hot pretzel served with beer cheese) and the Jalapeno Sticks (Six bacon wrapped jalapeno cream cheese poppers skewered and served with sweet chili sauce). 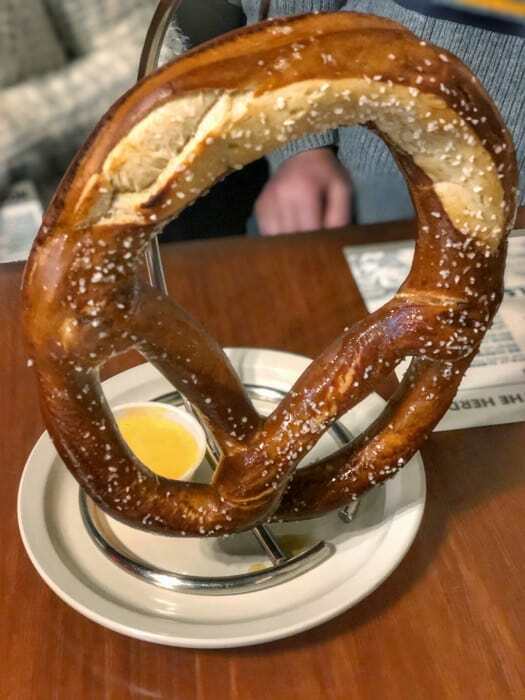 The pretzel was better than all of us at the table anticipated. It came out HOT and it was delicious! 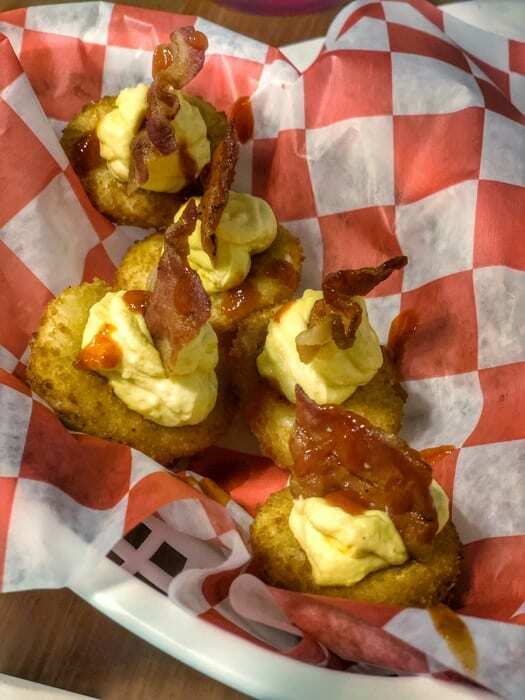 The fried devil eggs were an interesting twist on a classic and the Jalapeno sticks were delicious and have a lot of cream cheese inside so they arent overly hot if you are sensitive to that sort of thing. We were both impressed with the food and the price. We had an appetizer, entree, and drinks for less than our normal date night tab. 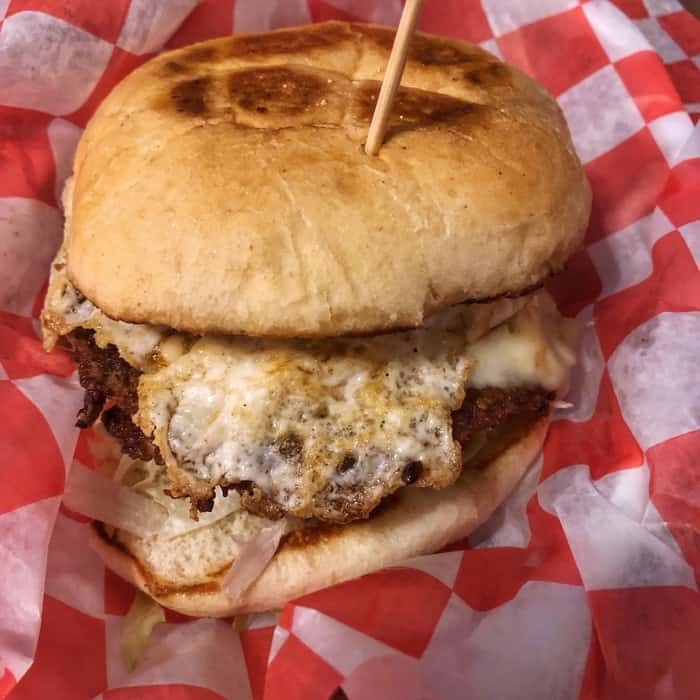 My favorite sandwich at City Goat is their “Go Goetta” (Two Crispy Goetta Patties, Fried Egg, Signature Sauce, Ghost Pepper Jack, Lettuce, Tomato). 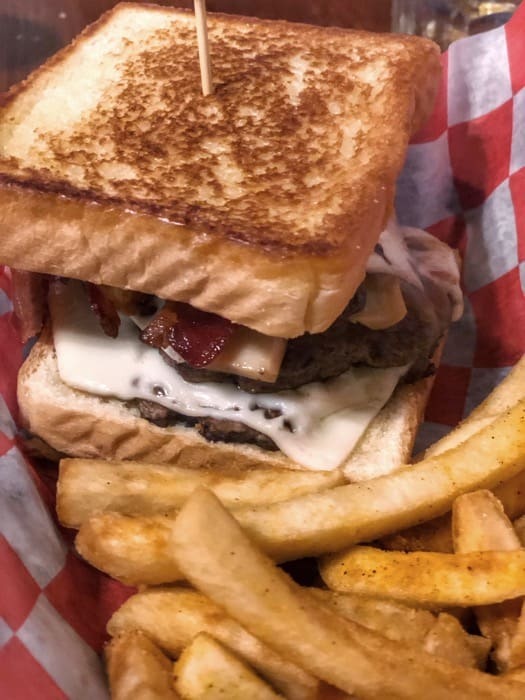 It’s the PERFECT sandwich if you love goetta AND spice. 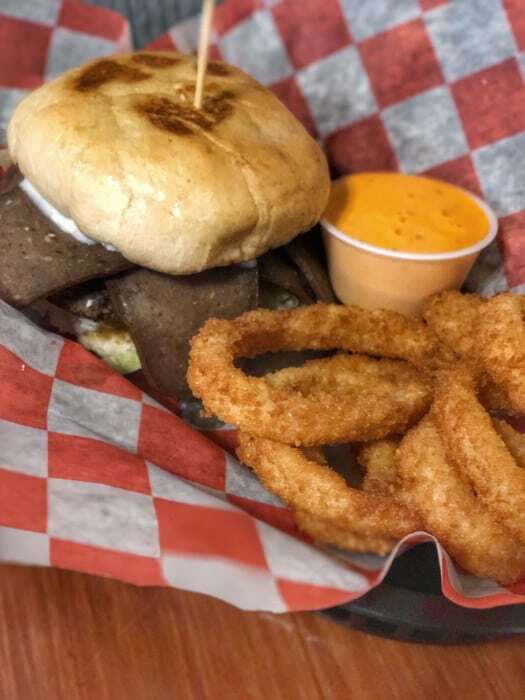 The egg yolk breaks when you eat it and make sure that you ask for a knife and LOTS of napkins because this sandwich can get messy but it’s worth every bite! 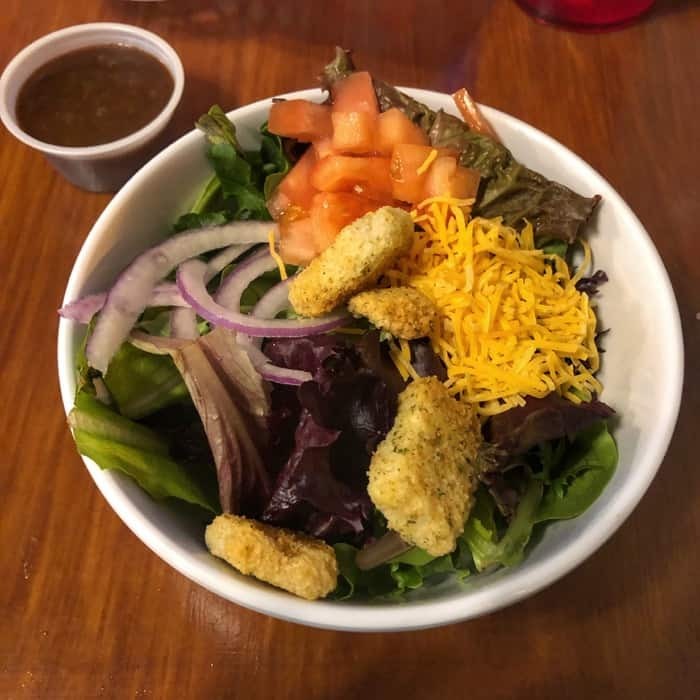 If you are trying to eat lighter and want to substitute your fries, you will appreciate that the City Goat side salads are made with fresh greens versus iceberg lettuce. 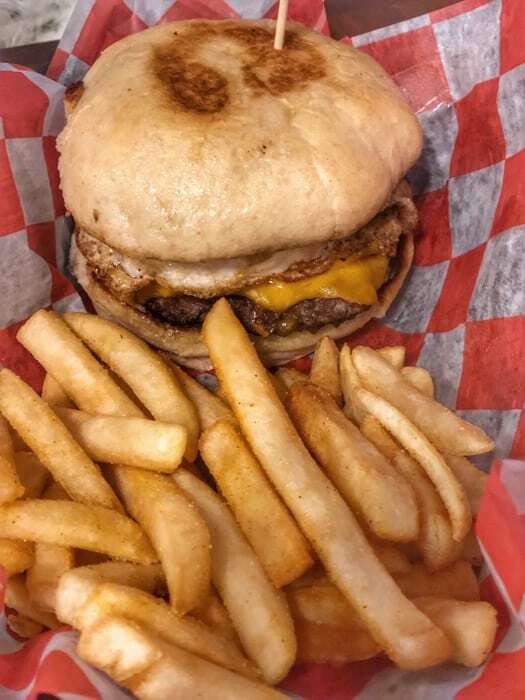 If you are in the mood to dine at home, there are 4 different carryout/delivery services to choose from. You can find out more about the City Goat from their website. 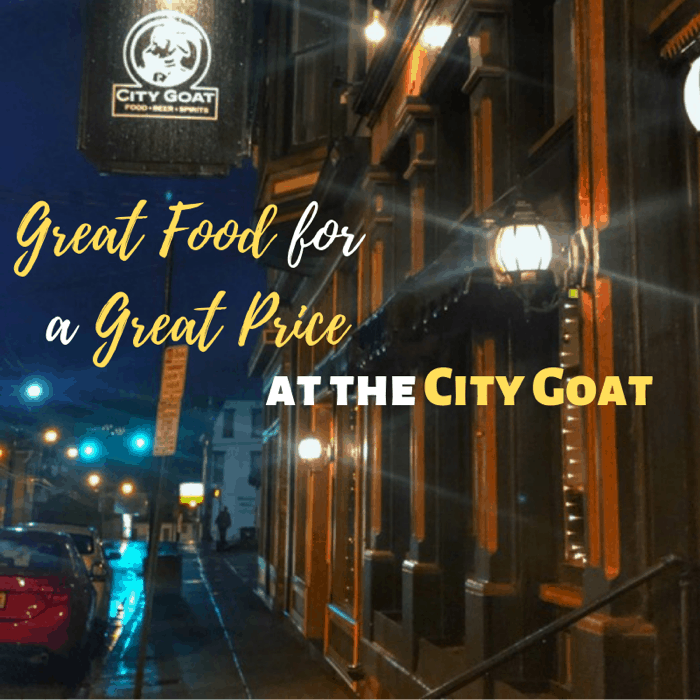 The City Goat is located at 404 W Pike Street, Covington, KY.